MLW and Impact Wrestling have announced they will collaborate over WrestleMania weekend in order for fans to be able to see both of their live events. Impact moved their event to the state of New Jersey so they could hold it after 11 PM. MLW will present “Rise of the Renegades” at 7 PM on April 4th from the Melrose Ballroom. At 11 PM that same night, Impact Wrestling will present “United We Stand” from the Rahway Recreation Centre in New Jersey. The two venues are said to be about an hour’s drive from one another. 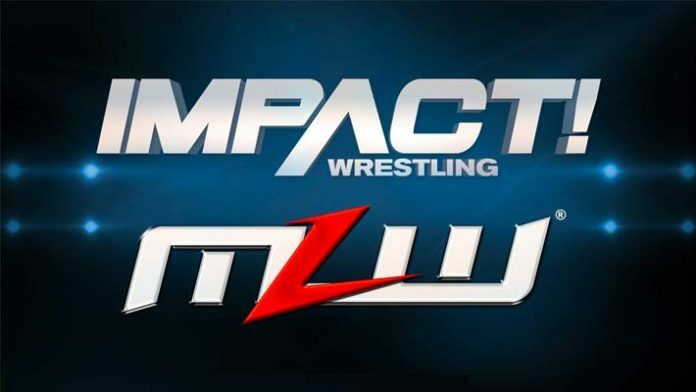 “This arrangement eliminates talent booking conflicts and ensures that loyal and passionate fans of both IMPACT Wrestling and MLW are able to attend our respective live events on April 4th,” said Impact Wrestling President, Ed Nordholm.